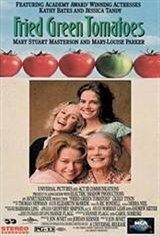 A woman learns the value of friendship as she hears the story of two women and how their friendship shaped their lives in this warm comedy-drama. Evelyn Couch (Kathy Bates) is an emotionally repressed housewife with a habit of drowning her sorrows in candy bars. Her husband Ed (Gailard Sartain) barely acknowledges her existence, and while he visits his aunt at a nursing home every week, Evelyn is not permitted to come into the room because the old women doesn't like her. One week, while waiting out Ed's visit, Evelyn meets Ninny Threadgoode (Jessica Tandy), a frail but feisty old woman who lives at the same nursing home and loves to tell stories. Over the span of several weeks, she spins a whopper about one of her relatives, Idgie (Mary Stuart Masterson). Back in the 1920s, Idgie was a sweet but fiercely independent woman with her own way of doing things who ran the town diner in Whistle Stop, Alabama. Idgie was very close to her brother Buddy (Chris O'Donnell), and when he died, she wouldn't talk to anyone except Buddy's girl, Ruth Jamison (Mary-Louise Parker). Idgie gave Ruth a job at the cafe after she left her abusive husband, Frank Bennett (Nick Searcy). Between her habit of standing up for herself, standing up to Frank, and serving food to Black people out the back of the diner, Idgie raised the ire of the less tolerant citizens of Whistle Stop, and when Frank mysteriously disappeared, many locals suspected that Idgie, Ruth, and their friends may have been responsible. Evelyn finds herself looking forward to her weekly visits with Ninny, and is inspired by her story to take a new pride in herself and assert her independence from Ed. Fried Green Tomatoes was based on the novel Fried Green Tomatoes at the Whistle Stop Cafe by actress-turned-author Fannie Flagg, who makes a cameo appearance as the leader of a self-help group.